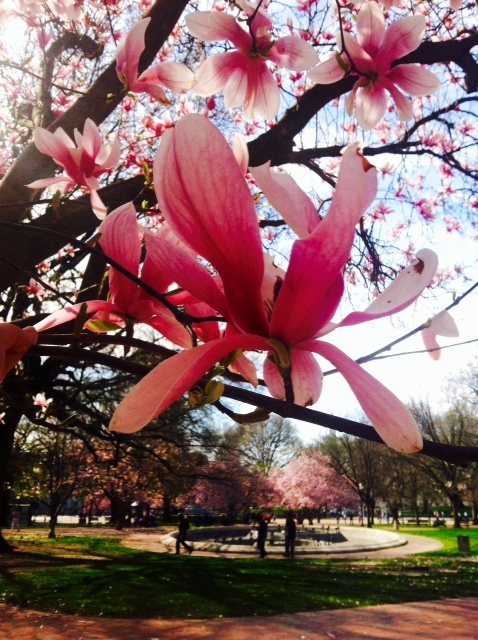 How phenomenal was the weather in DC this past weekend?! Everyone get to be outside I hope? See the cherry blossoms before they’re past their prime? 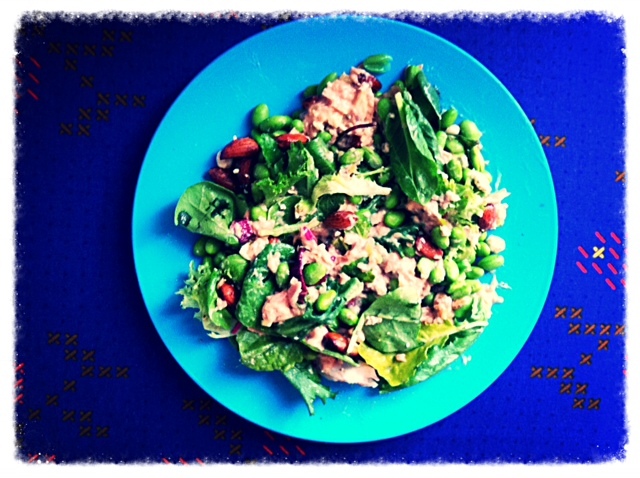 Solid sunshine for the entire weekend allowed me to do one of my absolute favorite things- fire up the grill on my deck and cook a delicious, healthy, and affordable springtime meal (or should I say summer already?). A recent roommate trip to Giant left me fully equipped; I had a nice piece of fresh tuna, a package of spinach tortellini, and some summery wheat beer to enjoy. As I’m sure you’re aware, Giant is a preferable alternative to Whole Foods or Harris Teeter from a financial standpoint because the quality (i.e. fresh seafood) is still great. The tuna was $4.99 a piece, so I spent roughly $15 including the beer. My kind of dinner price point on a Friday evening in the District! I made sure to be a good DC resident and document the blossoms during their peak moments, something I’ve been remiss in doing the past two years (oops). 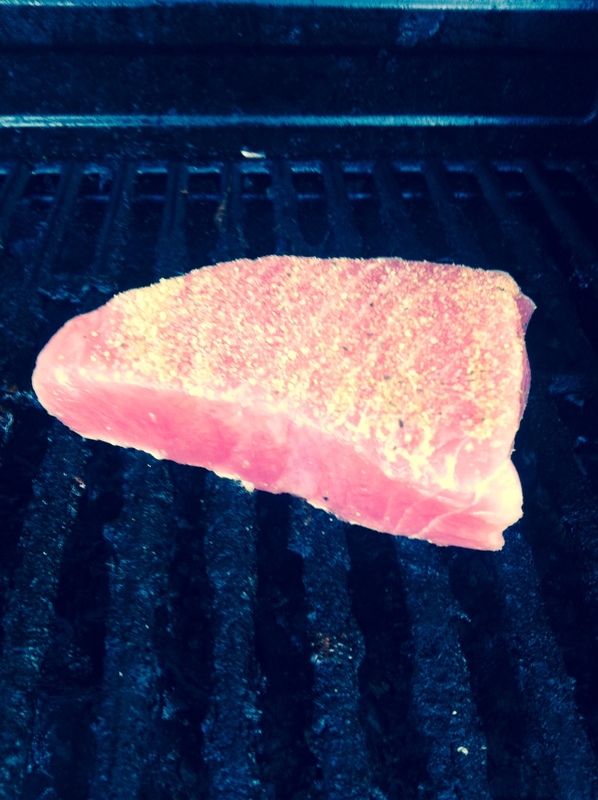 On the grill– seasoned with tons of garlic powder, salt, pepper, and a secret spice mix. Cook on high for 4-5 minutes per side, depending on how you like it. 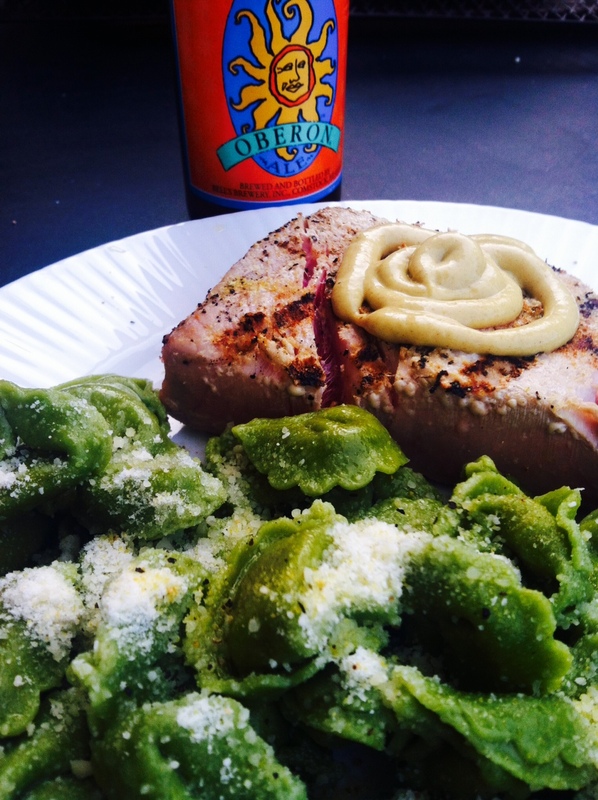 My bottle of Oberon, spinach tortellini loaded with Parmesan cheese and lemon pepper, and the tuna with Dijon mustard for even more flavor. As a self-dubbed Grillmaster, you can be sure there will be a ton of grill posts to come!